Hobro Idrætscenter or The DS Arena for reasons of sponsorship is a purpose built football stadium located in the old market town of Hobro, northern Denmark. 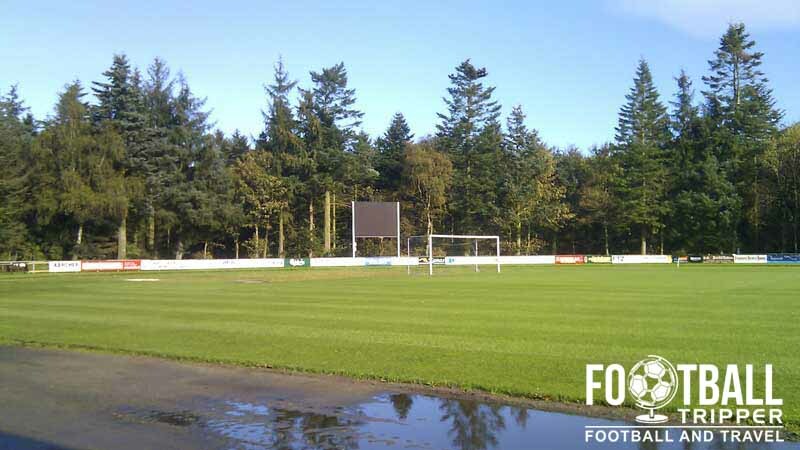 With a capacity of 7,5000 it is easily one of the smallest grounds in the Danish Superliga. Hobro Idrætscenter is a Sports Centre situated within the small Danish Market Town of Hobro, and it is within this sports complex where Hobro IK’s football ground is located. Known currently as the DS-Arena for reasons of sponsorship, the current capacity for the stadium is 7,500 although this includes just 435 seats, which is a small amount for any top-flight stadium to have. 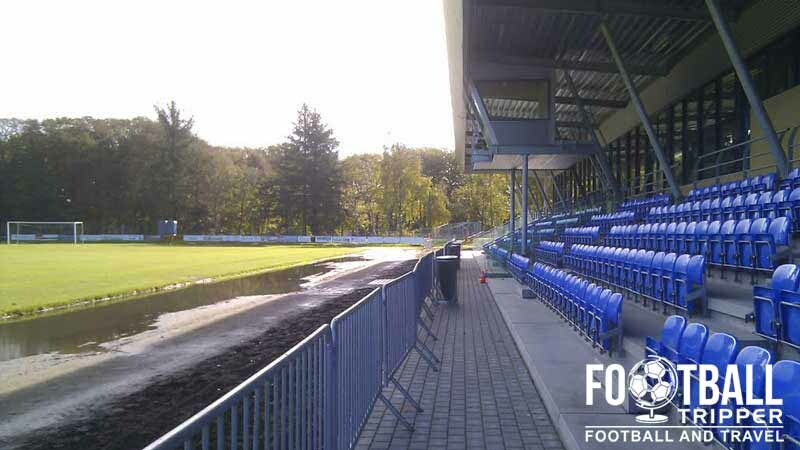 The size of the stadium is perhaps understandable when you realise that for many years of HIK Soccer’s existence, the club have played in the lower divisions of Danish Football, with the club only attaining promotion to the Superliga for the first time in the 2013/2014 season after finishing a record 2nd in the first division. When Hobro were promoted the to the top-flight a new attendance record was immediately set with 6,583 fans turning up to watch the club’s first game of the season against Brøndby IF. Prior to this the previous record was set in 2009 when The DS Arena welcomed Premier League side AaB Fodbold in a cup-match, with the home side attaining a 2-1 victory against all odds. 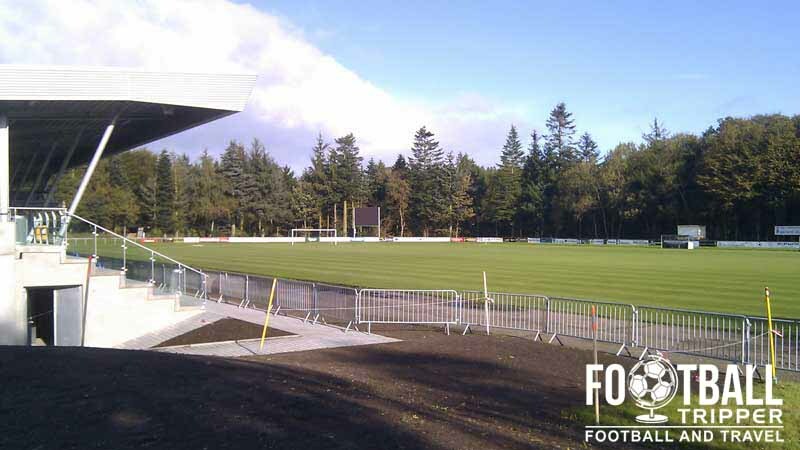 Renovations were last made to the football stadium in 2014 in anticipation of the new stadium requirements the club would have to adhere to after gaining promotion to the Danish Superliga. Prior to this, the most notable renovation occurred in 2011 when a new lighting system was added after the city of Aalborg purchased a new one in preparation for the under 21 European Championships. The DS Arena is comprised of four stands: North, East, South and West. The away section at the DS Arena is capable of accommodating up to 1,000 visiting supporters per match with away tickets costing 100 Dkk for adults. Entrance is granted through the car park, so we can only assume that away fans are housed in the south stand. Official HIK merchandise can be purchased from outside DS Arena on matchdays or online from the club’s official InterSport minisite. Local Hobro IK Fans sharing a bit of festive joy at Christmas. It doesn’t appear as if there are any tours of DS Arena or the wider Hobro Idrætscenter currently available. 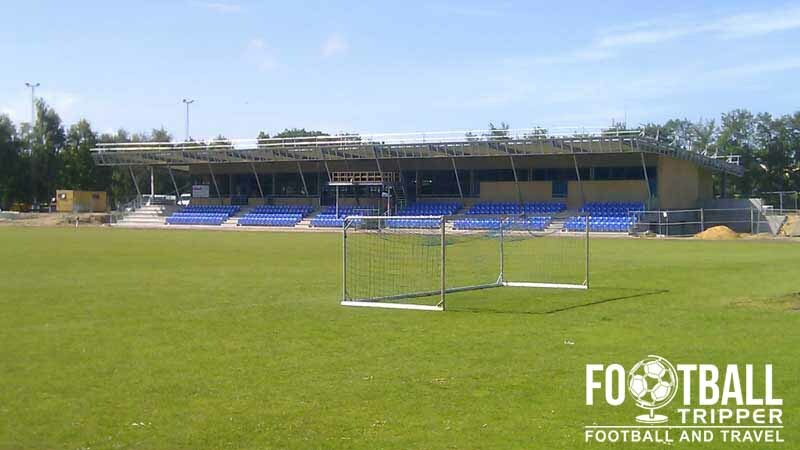 Tickets to see Hobro IK play at home can be purchased online in advance of the match for a slight discount (10 DKK) or on matchdays from the entrance at DS from up to 90 minutes before kick-off. The football ground currently known as DS Arena is located within Hobro Idrætscenter (Sports complex) which sits 1.8 km south-east of the city centre. For most Football Trippers DS Arena is easily walkable within 25 minutes. 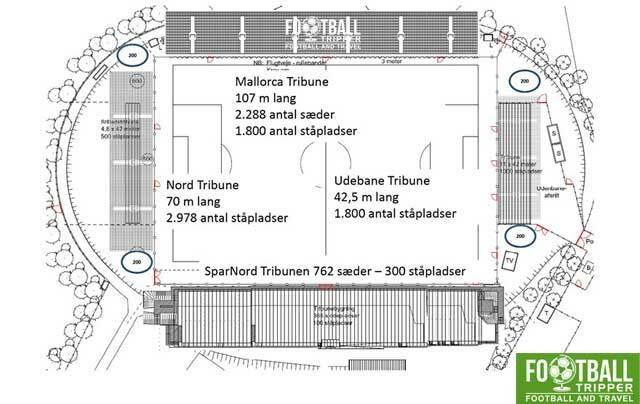 There are two car parks located at Hobro Idrætscenter (Mariagerfjord Gymnasium & behind the south stand) which are available for fans to use on matchdays on a first-come first-serve basis. Hobro Station is located 2.8 km north-west of DS Arena which results in a walk of around 35 minutes. It forms part of the Randers-Aalborg Line and offers InterCity services to and from Copenhagen. The main road which runs south of the ground known as “Amerikavej” features two bus stops which are served by bus numbers 1 (Bus terminal), 57 (Hobro), 58 (Hadsund) and 64 (Viborg Rutebilstation). Danhostel Hobro located a few hundred metres down the road from Hobro Idraestcenter is a popular place to stay due to its low price tag and central positioning. There’s a distinct lack of accommodation options in town which means that Hotel Amerika and Snehøjgaard Bed & Breakfast are the two next most suitable options.